S04xE04 – Luke wants to quit magic, but Phil is not having it. So Phil devises a plan that if Luke can perform the “butler’s escape” while suspended upside down, he can quit magic. So Phil has Luke all set and as he turns away for a few seconds, Luke has escaped, and says he’s quitting. It’s only later that we find out while Phil is trying to do the same trick and failing miserably that the reason Luke is so adament about escaping is because he was made fun of at school for his magic. Phil has a heart to heart with him and tells him that he too was made fun of for the magic, but only when he stopped caring about what others thought was it when he really started to enjoy life. The talk succeeded, but Phil is still trapped. Gloria is snoring horribly bad and both Jay and Manny are losing sleep over it. Manny gets the courage to tell Gloria she’s snoring, but Jay doesn’t. So Manny gets the brunt of the yelling while Jay gets ready for a business trip to San Francisco. He’s overly excited about it because it gives him some time away from Gloria and the chance to get some sleep. Unfortunately the trip is cut short and he doesn’t have to stay the night there, so when he makes it back home and hears Gloria snoring away he heads to the nearest hotel for a night’s rest. Unfortunately this same hotel is where Manny goes to read since the library at school is nothing but a pick-up scene. Manny sees Jay check in and tells Gloria, who goes to hunt him down. She thinks he’s having an affair, but really he just wants some sleep. Gloria pretends to understand and implies that they should not let the room go to waste. Jay’s is all for it, but instead Gloria grabs the keys from Jay and heads up to the room by herself. Well hopefully Jay will get some sleep. 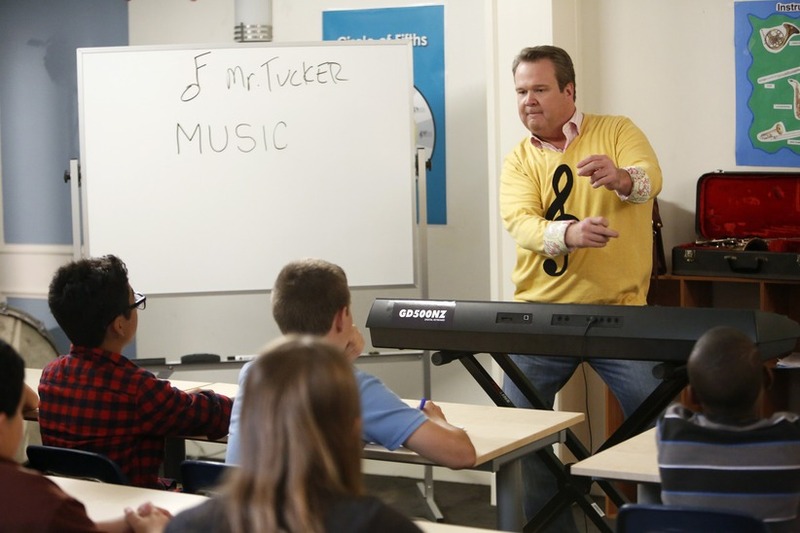 Cameron is starting his new job at the middle school as the new music teacher. He is very excited and has been preparing his presentation with all his might. He’s wearing a sweatshirt with a treble on it, and has his opening joke ready to fire. There’s going to be treble! Mitchell is preparing to start his new job as well as a stay-at-home-daddy. Mitchell seems to be prepared, but Cam isn’t so sure, and has a list for him. As the day goes on, Cam teaches his class, but it isn’t going as planned, the kids aren’t receptive and Cam making the students bodies into instruments fails horribly. He’s not getting rose petals at his feet like he thought. Mitchell’s day isn’t going much better, as he doesn’t have a clue as to what items he is supposed to purchase at the grocery store, and losing Lily in a freezer case doesn’t help either. So Mitchell wants to prove to Cam that he can really be a stay-at-home-daddy, and when Cam gets home from work, utterly beaten, Mitchell tries to throw it in his face that he succeeded with his new position. The only thing is that Mitchell had Claire help cook dinner and fix a few items around the house. Mitchell wasn’t going to admit it, but Claire having seen how upset Cam was gave away the secret. Instead of the couple being mad at each other, they embrace glad that they both had a hard day. Tender. Alex has been exceptionally mean to everyone around. And Claire is trying to figure out why. It’s only when she talks to Phil about how the “butler’s escape” is accomplished (with opposite forces balancing out), does she realize that Alex’s opposite force is missing: Haley. So Claire does a skype session and when it’s Alex’s turn, Haley jumps right in on her and everything she’s doing wrong. Everything is in balance again. Best of the episode: Mitchell trying to scam Cameron by proving he can do the stay-at-home-daddy job better than Cameron. It was great when it got blown. 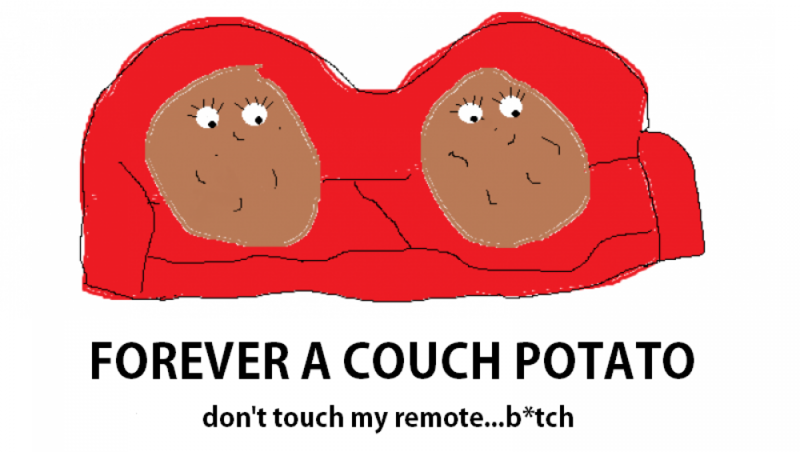 Worst of the episode: Gloria. I can usually tolerate her, but for some reason the past couple episodes she’s been really irritating. Maybe the accent is getting to me. Where did this episode leave us? : Curious as to how long Cameron will keep his music job. And if Mitchell’s insanity will stay intact.